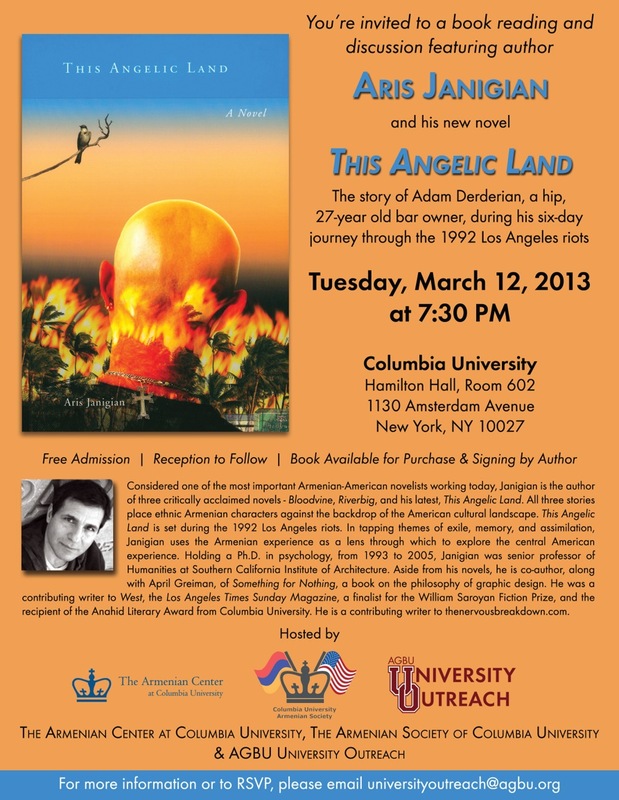 The Armenian Center at Columbia University and the Anahid Literary Award Committee invite you to join us for an evening of literature and celebration to honor the recent recipients of the Anahid Literary Award. 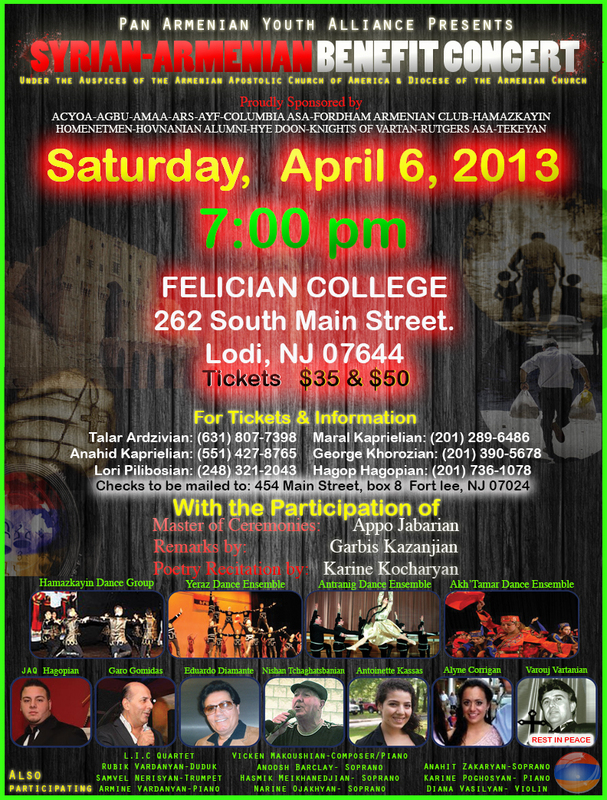 The recent winners are Arthur Nercessian, author of Chinese Take-Out among other novels; Patricia Saraffian Ward, author of The Bullet Collection among other works, Michael Zadoorian, author of Second Hand among other novels; Aris Janigian, author of Blood-Vine among other novels; and Lydia Peele (in abesentia) author of Reasons For and Advantages of Breathing. 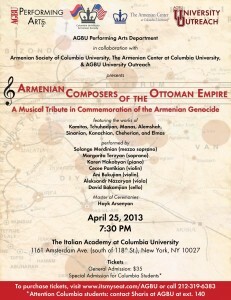 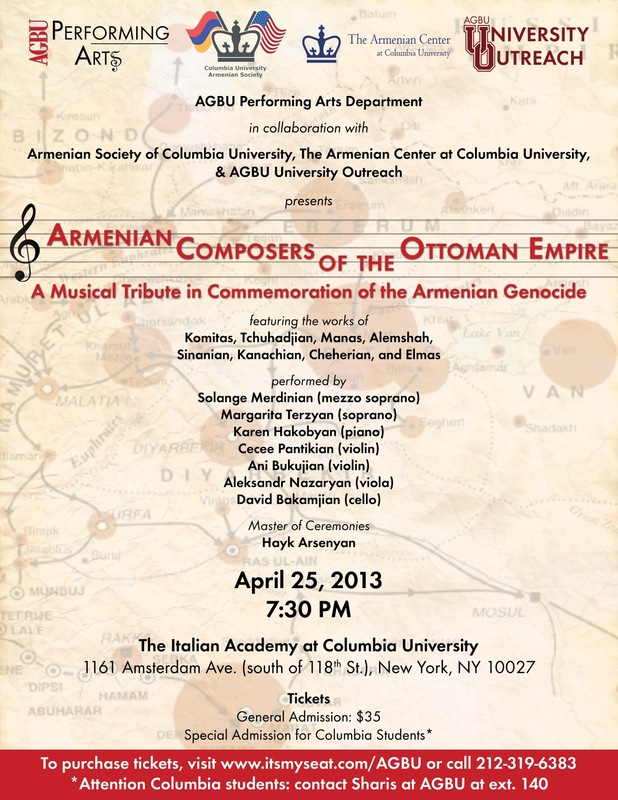 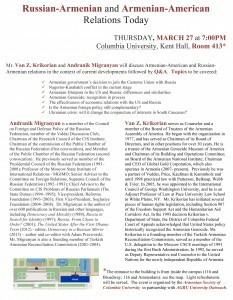 This event will take place on Friday, April 4 at 6:30 p.m. at Columbia University Faculty House. 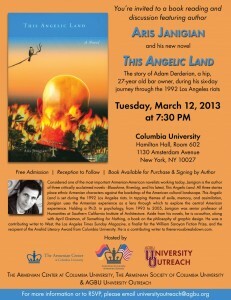 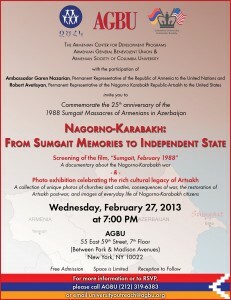 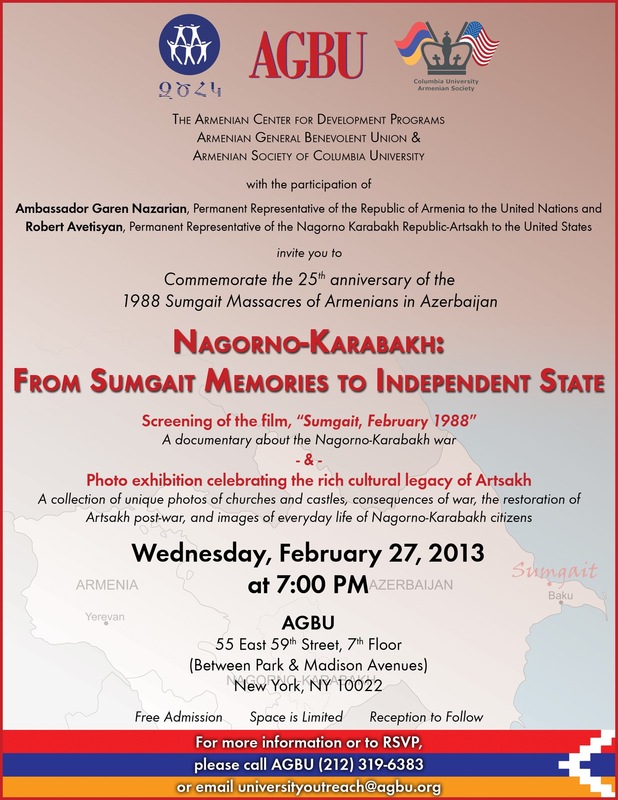 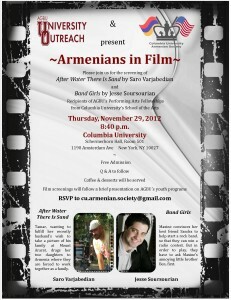 Please join us for an evening screening and discussion films by young Armenian filmmakers from Columbia University. 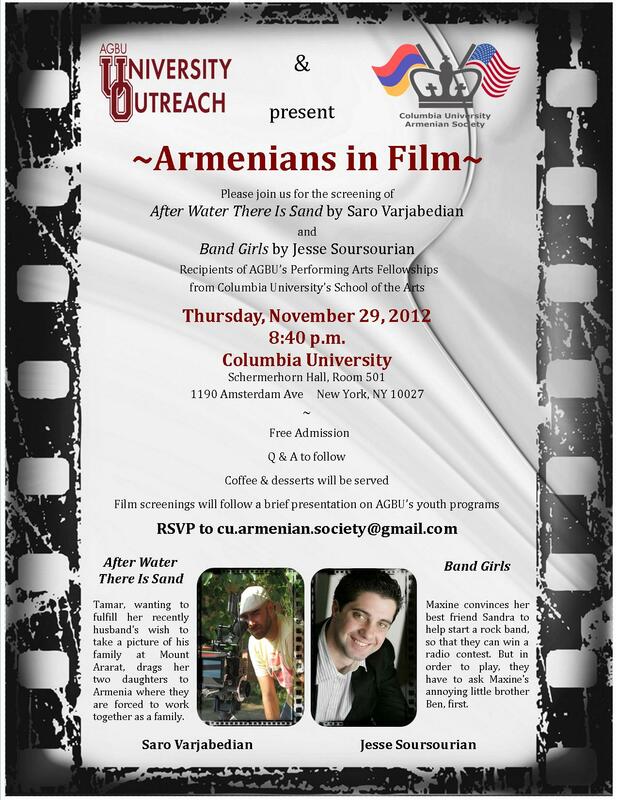 (Moderated by Raffi Asdourian, A&E, Sundance Channel). 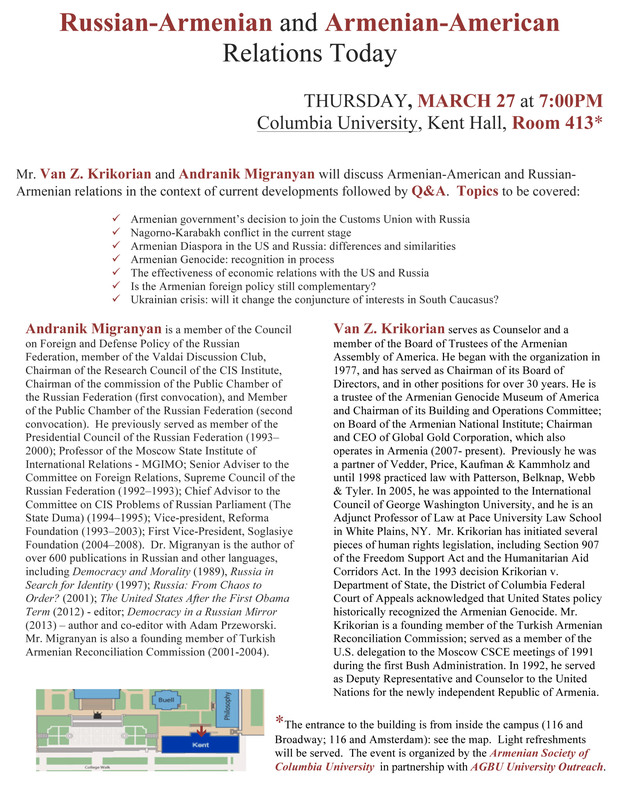 This event will take place on Friday, March 28 at 7 p.m. at Columbia University Schermerhorn Hall Room 501.